This charming detached farmhouse lies directly by the woods in the middle of the beautiful Swedish Nature. But also in and around the house is a lot to do. What to think about the cinema or the large barn with table tennis, table football and billiard game? Furthermore there is large dining room where you can eat together. Outside there is a lovely garden with ample space for sports and games, or for example to barbecue with each other. At just 600 meter from the farm you will find the river Klarälven. By the lake you can lie back at the small beach, but also fishing on a boat or canoeing is possible. In the direct surroundings are several hiking trails. The real adventurer will love the special moose and beaver safari or will go rafting. 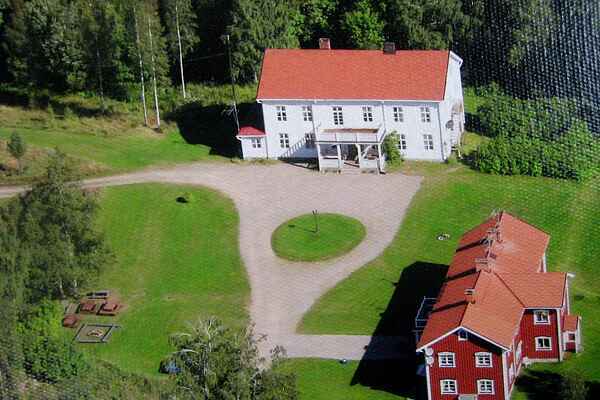 This house is also ideal for groups who like to go to Sweden for their winter sports. You can ski at just 14 miles from the house in the largest ski area from Värmland, Branäs. In Torsby is a special ski tunnel where you can cross-country skiing all year long. And then there is the possibility for ice fishing on the lake, or taking a ride on the snowmobile.